Mistletoe State Park has a lot to offer. 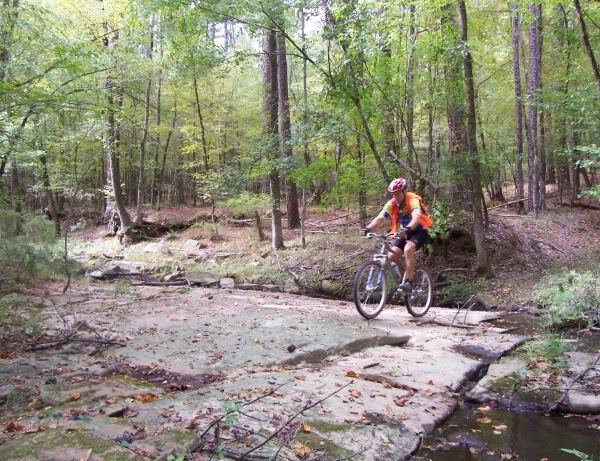 The Rock Dam trail is the main feature, and is accessible via the Cliatt Nature Loop. 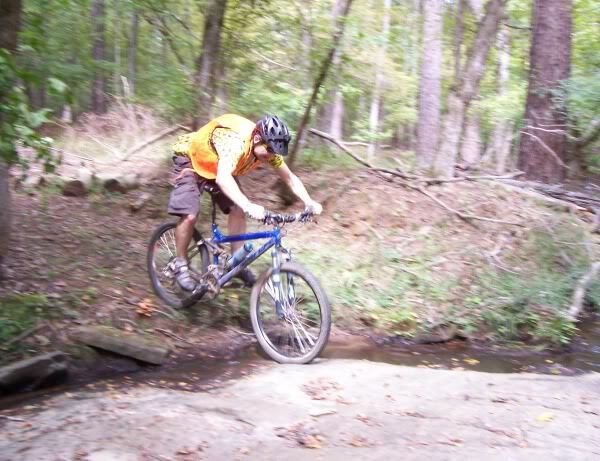 There a few other trails as well, but the Rock Dam is the main trail. 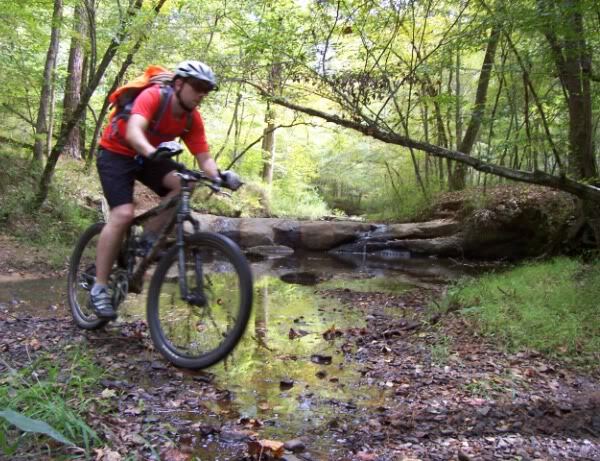 The Rock Dam loop will challenge even the most seasoned rider with several creek crossings, a gully ride, and a long rocky, rooty extremely off-camber climb. 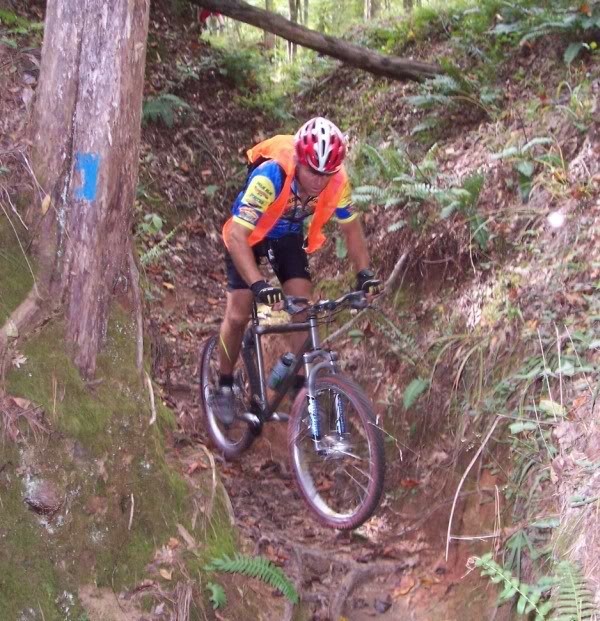 Most riders prefer the loop in the clockwise direction. The truly brave can try and ride the rock dam itself! 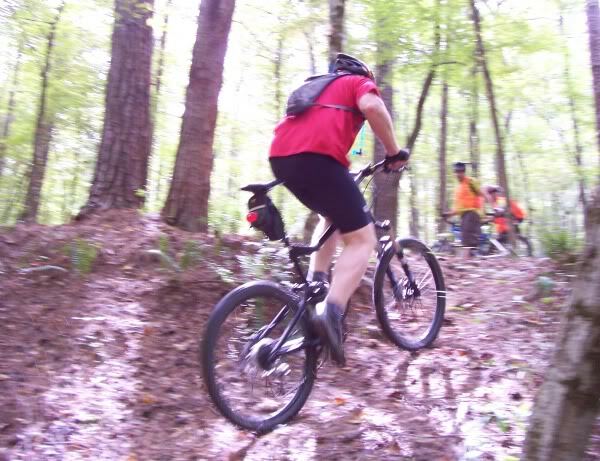 Mistletoe can be linked with Keg Creek by less than 3 miles of easy pedaling on paved roads. See the Connector Routes page for details. Where water meets granite, traction ceases to exist. Avoid the wet spots. Taking the safest way across the creek, just downstream of the rock dam. If you choose to ride the dam, be careful! There's no easy way onto or off the dam, it's narrow, and very slick in places. But don't worry, the deep water and rocks will break your fall if you mess up. 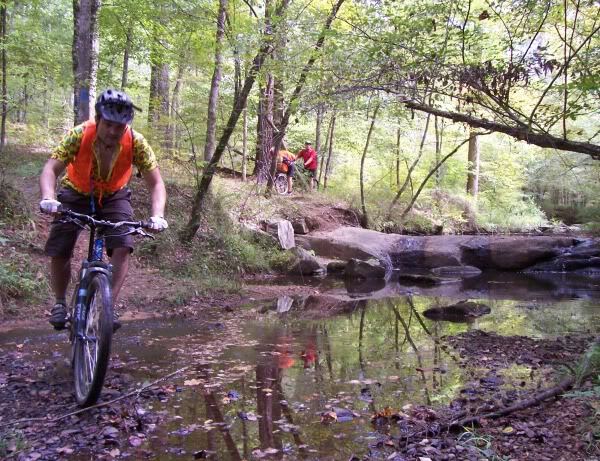 Most creek crossings have steep exits, where a combo of wet tires and roots means little traction. Carefully picking a line down the gully. 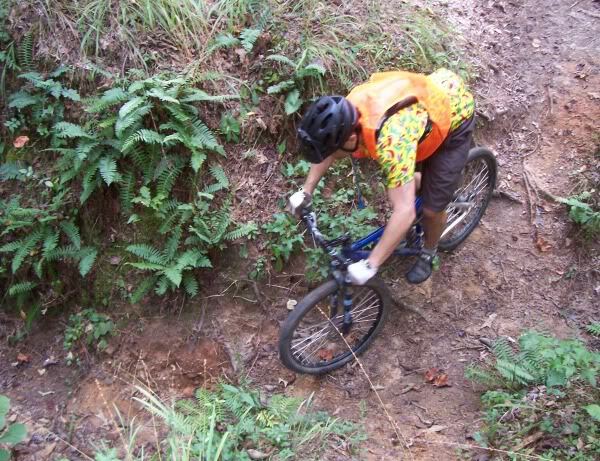 The narrowest section is before riding under the tree in the background.